This project was designed while working for Keelor-Raynor Architects. 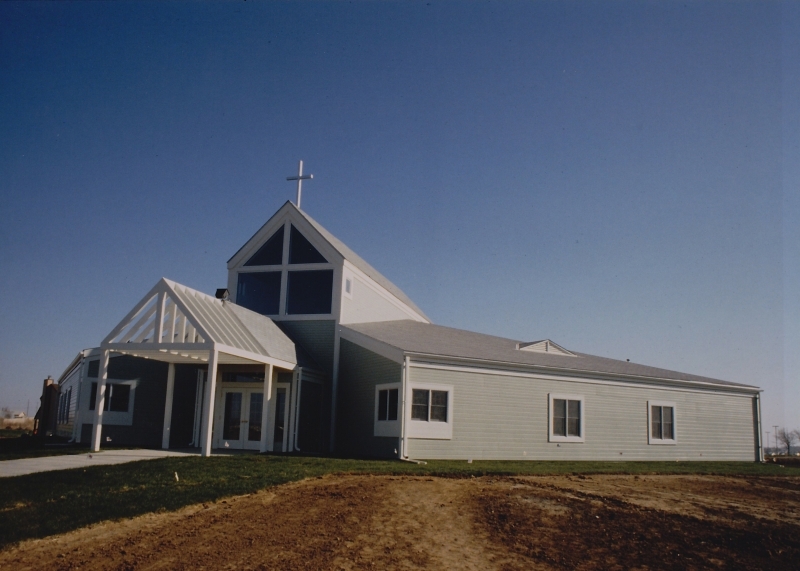 This project involved the design of a new starter church for Elkhorn Hills United Methodist Church located in Elkhorn, Nebraska. This building is a one story, 6,347 s.f. structure, which sits on a prominent site on the edge of town. 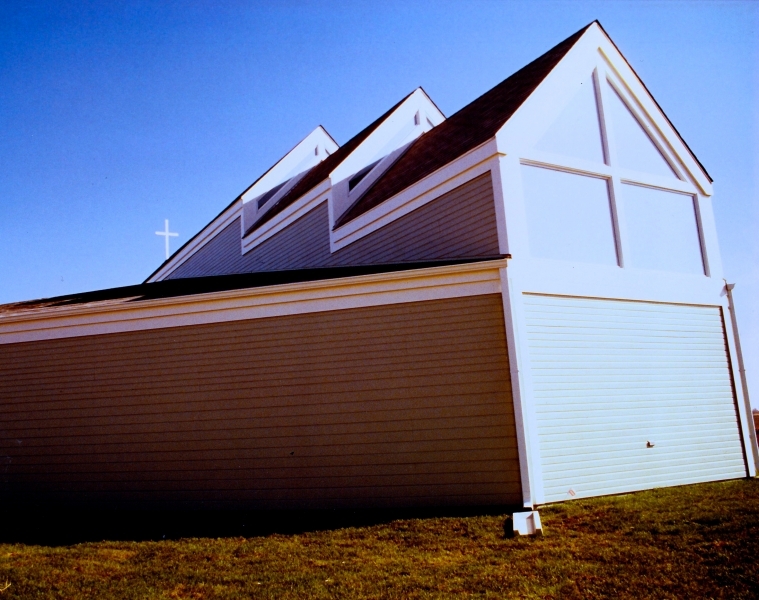 The church building committee desired a prominent, but simply designed structure, that would fit within a modest budget. 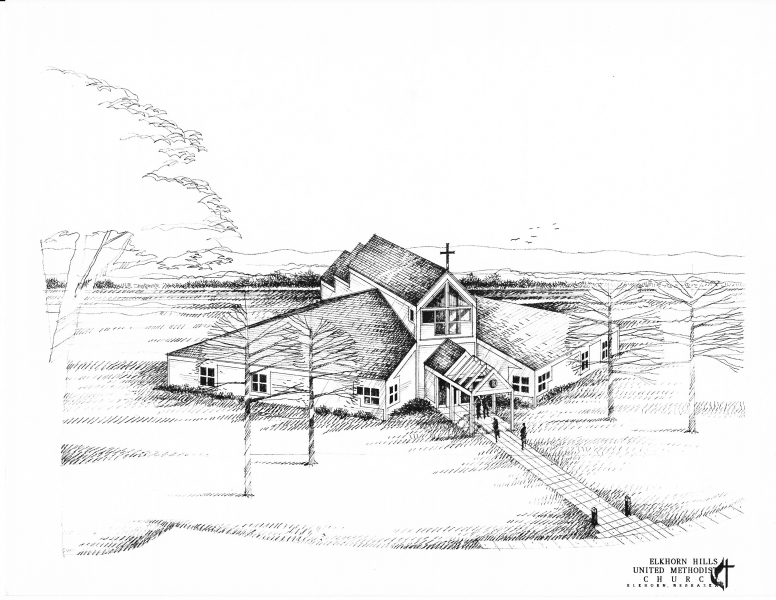 The building consists of a sanctuary, narthex, office space, meeting rooms, classrooms, restrooms and mechanical space. 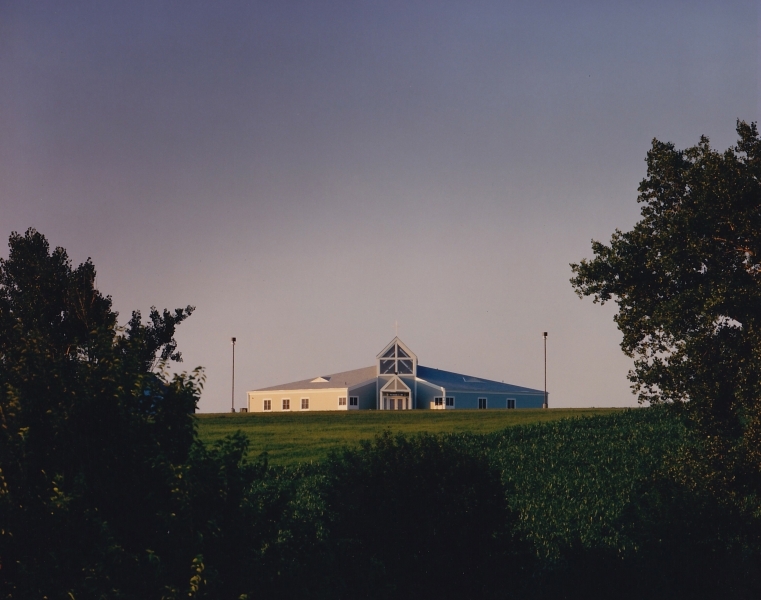 The predominant design element of this church was created by a 2-1/2 story light shaft, defined by the width of the narthex, which extends completely through the narthex and steps down, incrementally at the altar creating clerestory lighting in the procession space of the sanctuary. 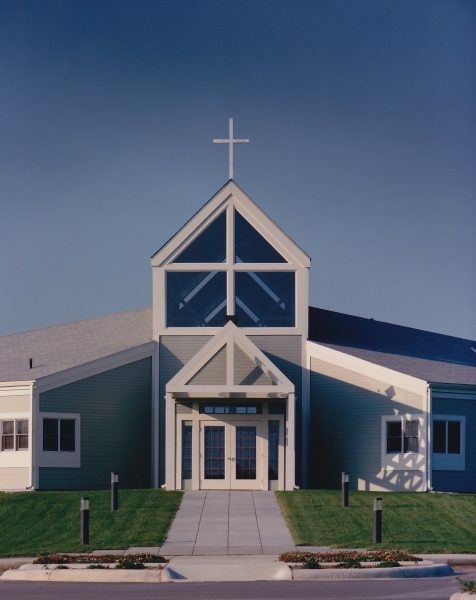 A simple cross rests atop the front of the raised roof form at the front of the narthex. 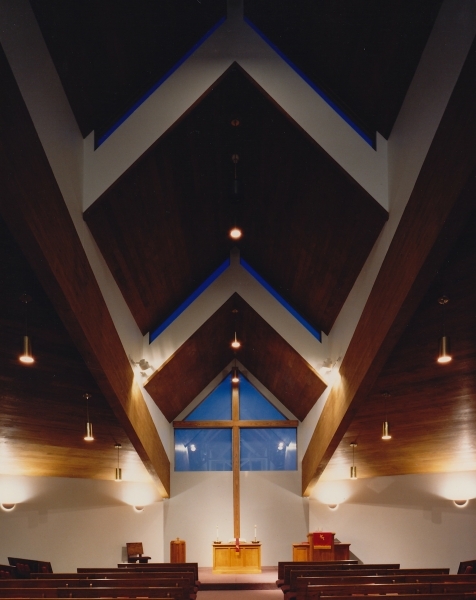 Symbolically, a cross mullion pattern occurs at the front narthex clerestory window and the clerestory window behind the altar. The periphery spaces of the building are one story spaces with the roof edges flowing upwards towards the hypostyle light shaft. Construction consists of wood framing with heavy timber structural elements, lapped siding, wood trim and asphalt shingles. The form, shape and materials take their cue from country vernacular architecture.